[Quick tip for GNOME Shell users] By default, users are able to install GNOME Shell extensions from extensions.gnome.org only by using Firefox or Epiphany (Web) browsers. Until GNOME Software will be able to install and update GNOME Shell extensions, Google Chrome / Chromium users are a bit left out, at least as far as the default experience goes. However, there is an easy way of installing GNOME Shell extensions using Chrome: with the help of a Chrome extension and a native connector that provides integration with GNOME Shell and its extensions repository, extensions.gnome.org. Update 1: the extension also supports other Chromium-based web browsers such as Opera and Vivaldi. 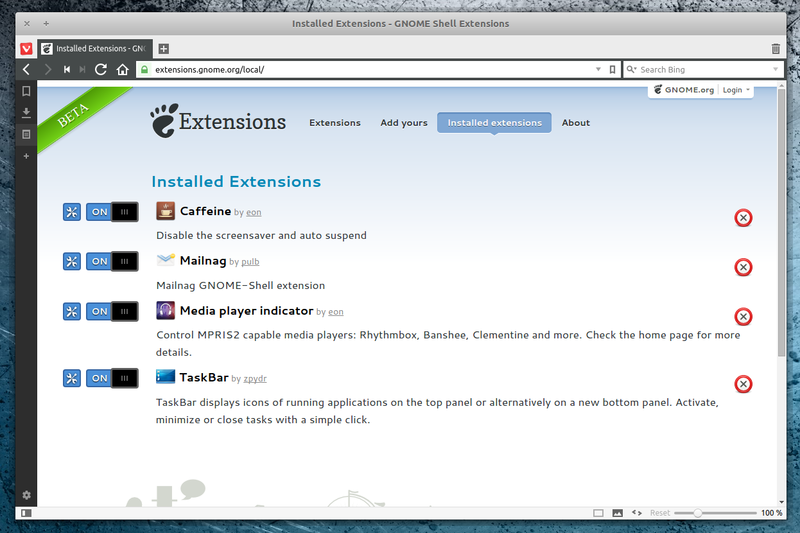 Update 2: Chrome GNOME Shell now also supports Firefox. This is important because with version 52, Firefox no longer supports NPAPI plugins. For Ubuntu, this Chrome integration for GNOME Shell is available in a PPA, as a package called "chrome-gnome-shell", which includes the native GS-Chrome connector. The browser extension should be installed automatically upon installing this package and running Google Chrome / Chromium. 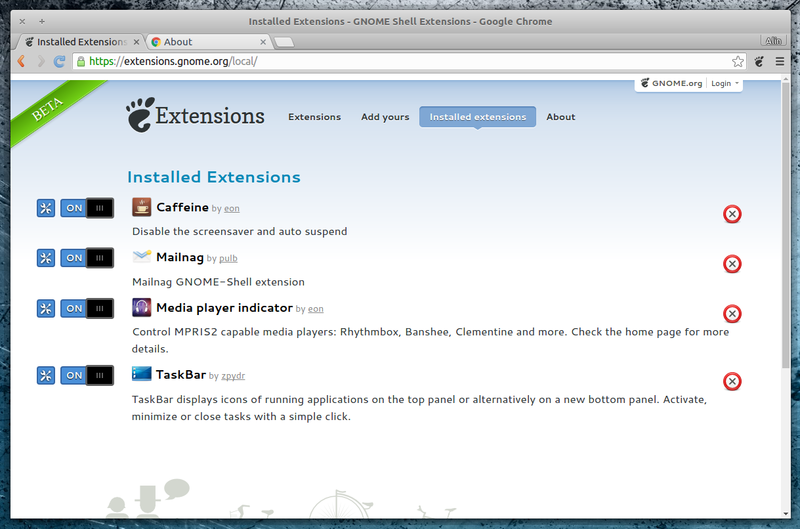 In my test, using the "chrome-gnome-shell" package brought support for installing extensions from extensions.gnome.org (and accessing their preferences), not only to Google Chrome and Chromium, but also to Vivaldi browser. Unfortunately, I it doesn't seem to work with Opera. If you don't want to add the PPA, grab the deb from HERE and install it manually. The package might also work in Debian, but I didn't test it. For Firefox you'll also need to install the extension from HERE (the PPA instructions above are still required!). 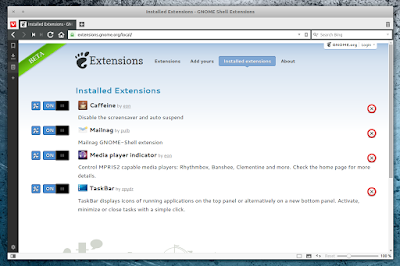 Once installed, restart Chromium / Google Chrome / Vivaldi / Opera /Firefox and you should be able to install extensions from https://extensions.gnome.org (jyou need to use GNOME Shell to be able to install extensions). For other Linux distributions, check out the GNOME Shell integration for Chrome wiki installation page.